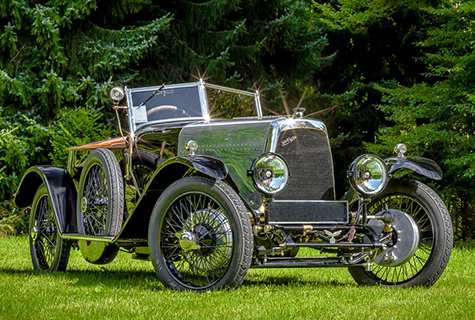 This is the 1925 Motor Show car with body by Jarvis of Wimbledon. 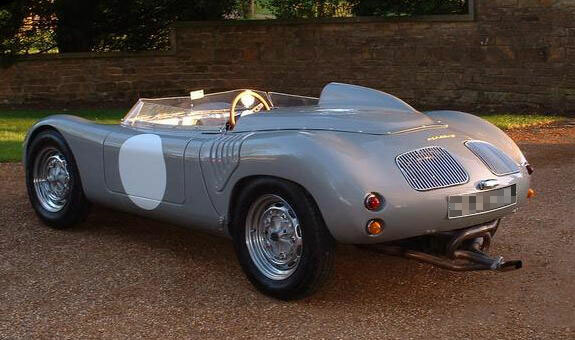 Made by Bamford & Martin Ltd of Kensington. 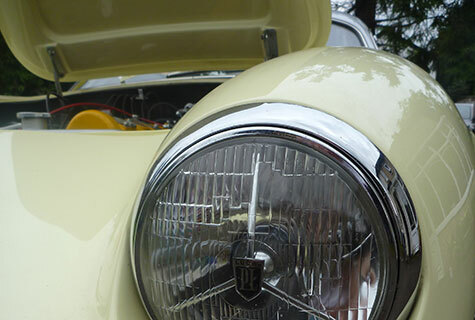 The Motor of October 1925 described the car as "the most beautiful small car of the show". 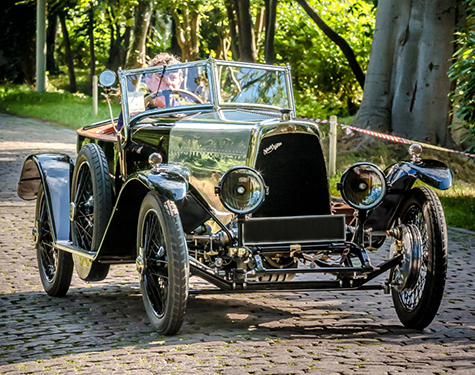 The price for a touring car was 825€ in 1925 compared to an Austin 7, 149€. 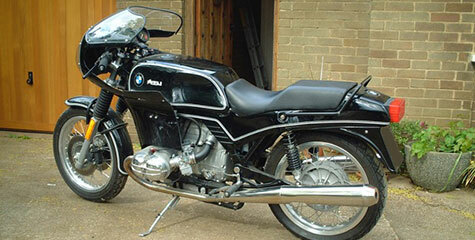 It has a side valve engine of 1486cc with a single SU carburettor. 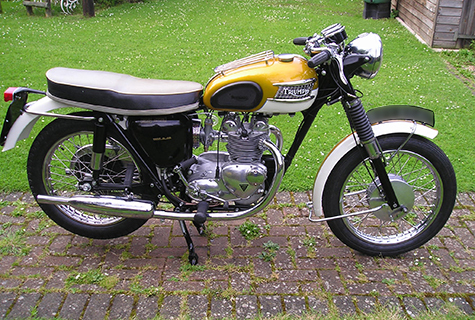 The engine had a non-detachable head with screw caps over each valve for valve replacement. 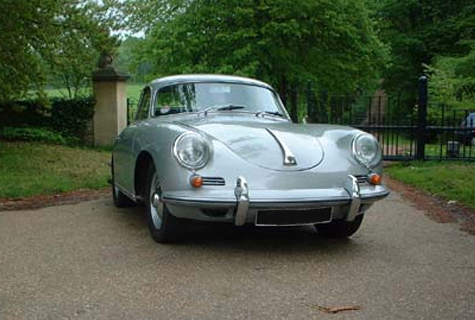 Transmission is via multi-plate dutch plus dutch stop and 4-speed gearbox. 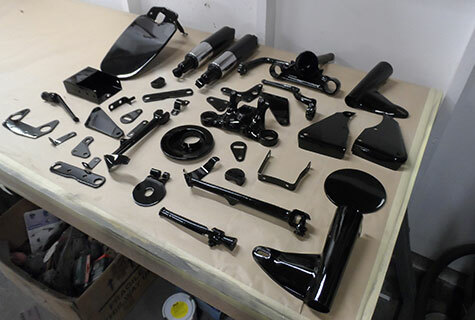 The gearbox was inspired by Ettore Bugatti's gearbox. 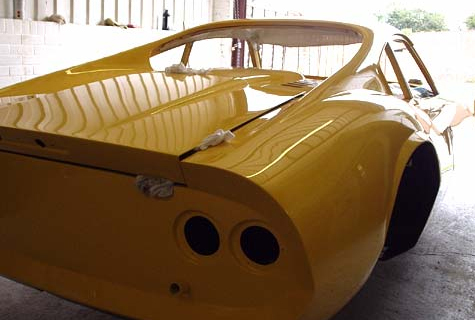 Lionel Martin, co-founder of the Bamford and Martin company, drove a Brescia Bugatti. 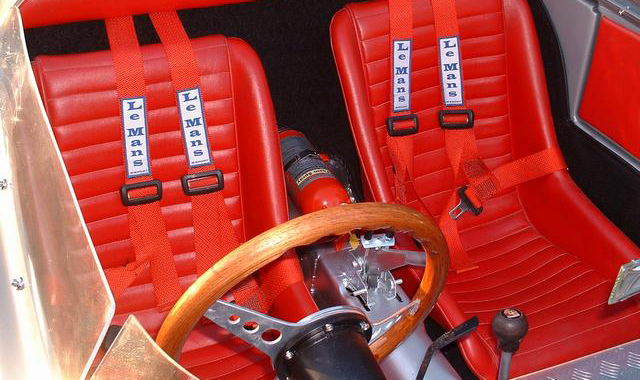 One of the first marques with four-wheel brakes as standard, the front brakes are operated by the foot pedal, while the rear pair actuated by the handbrake. 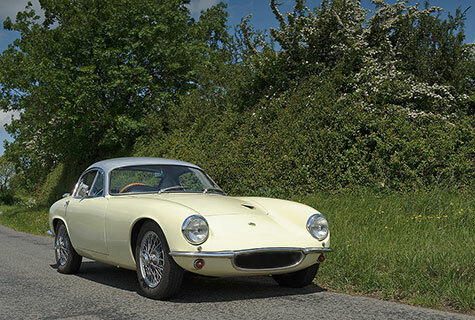 These early Aston Martin's established the reputation of being one of the fastest standard touring light cars or "voiturettes" on the road and track. 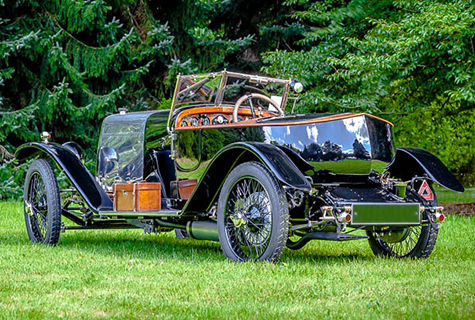 Built to a very high standard indeed which lead to their bankruptcy in 1925, the receivers came shortly after chassis number 1966 was made. 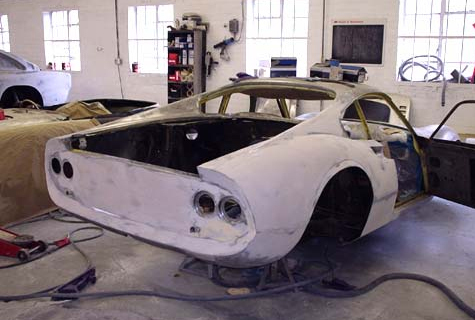 Chassis number 1970 was the last of the Bamford cars ever build before the company became Renwick and Bertelli, the start of a new era. 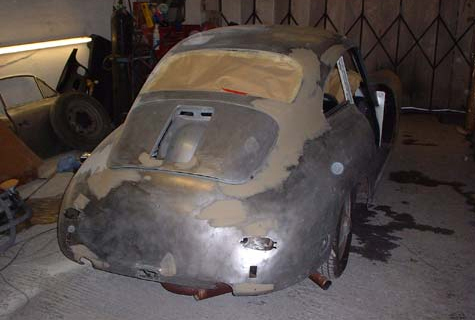 One of two cars with this 'boat-tall' body shape, it has been restored with much of the wood-work being original. 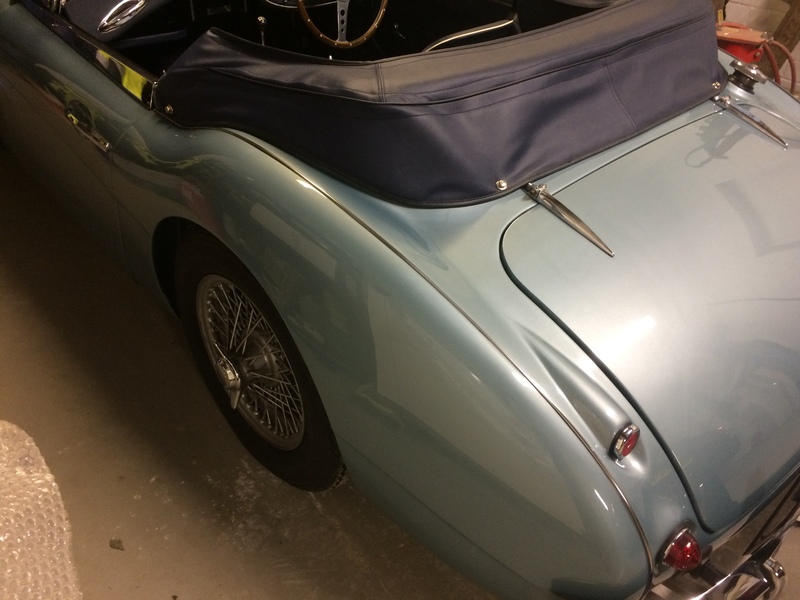 The bonnet of this car is much longer than usual and gives access to pedals and dashboard. 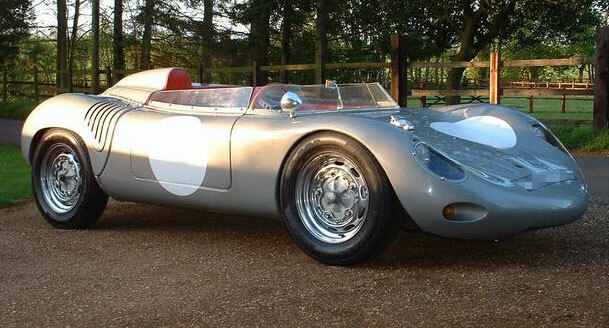 Among the many owners was Fred Ellis (side valve guru) as well as Richard Stallebrass, who was the 'driver' behind the reformation of the Aston Martin Owners Club in 1948 but losing his life soon after in the Spa 24-hour race; a trophy is awarded in his memory, annually, by the club. 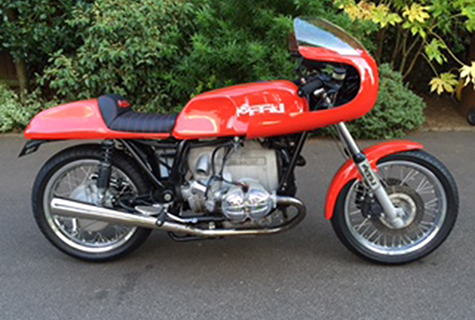 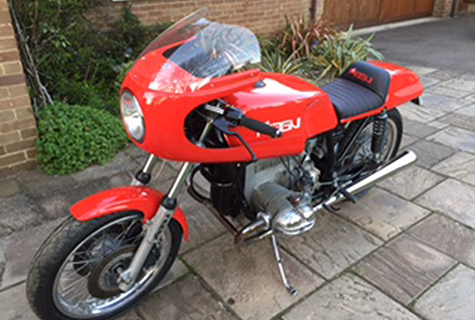 This restoration was started by Anthony Harper soon after purchase in 1972 and completed by the present owner in the last few years. 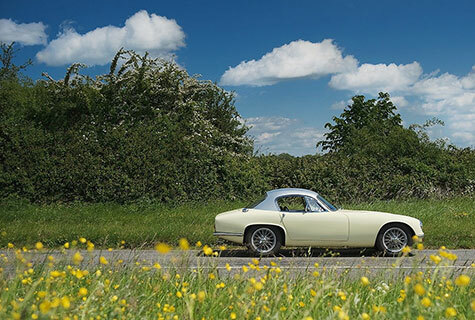 This beautiful Maserati 3500 GT was Maserati’s first successful venture into the highly contested GT market. 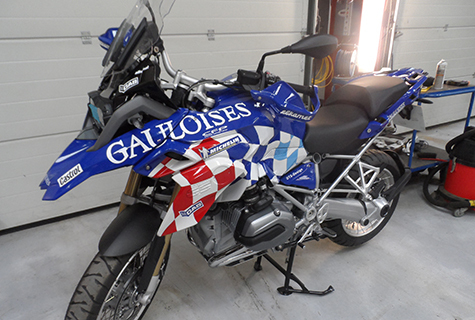 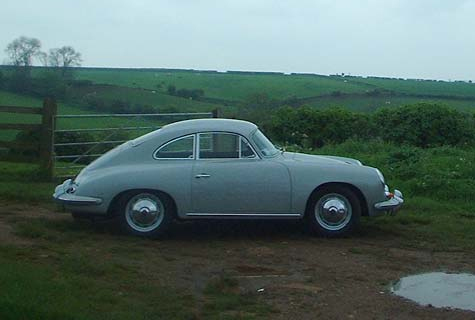 This particular example was brought to us by a customer from Belgium. 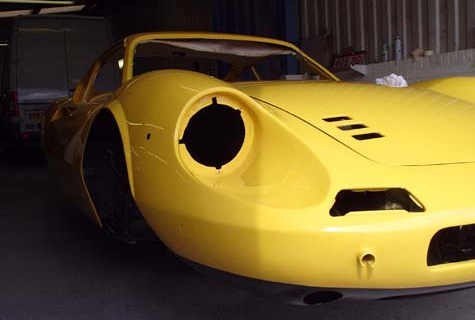 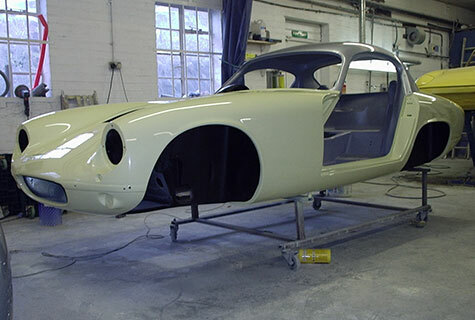 He had previously had the bodyshell panelled and painted by a reputable specialist and was very disappointed with the results. 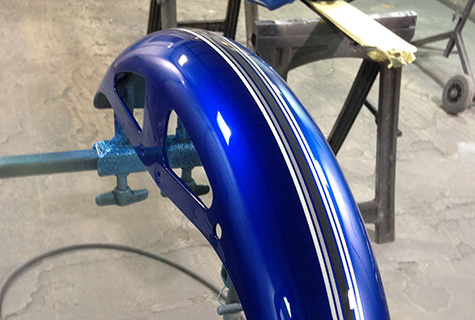 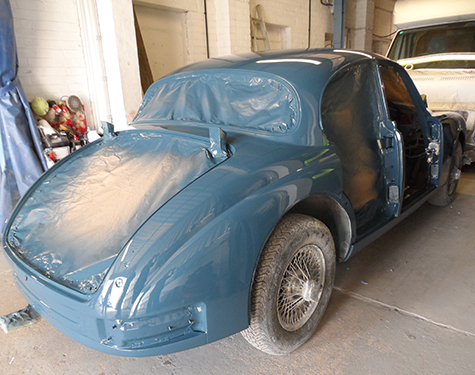 Proline reshaped the outer body panels, repainted the complete car and flat and polished all the new paintwork. 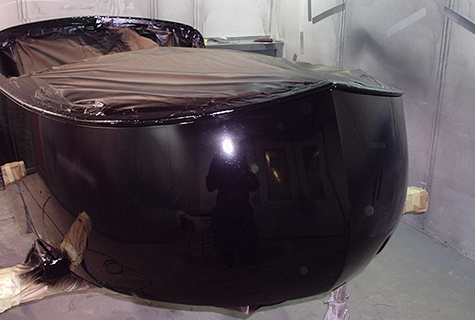 The client was delighted with the results and has been a regular customer with many cars ever since. 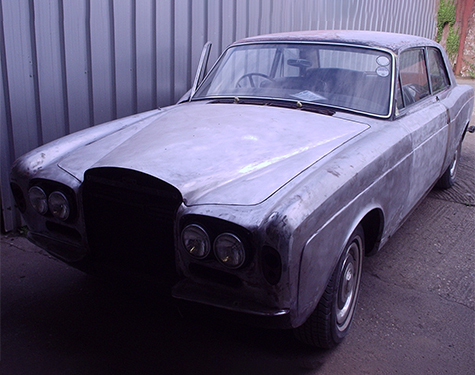 Purchased by our client in a state of disrepair, we were commissioned to restore this Bentley back into a presentable, usable car. 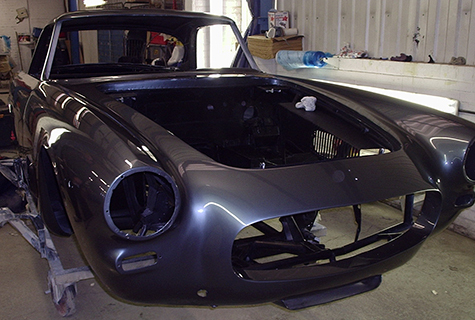 Proline carried out a complete bare metal respray including fitting new lower sills, arches and various other panel work. 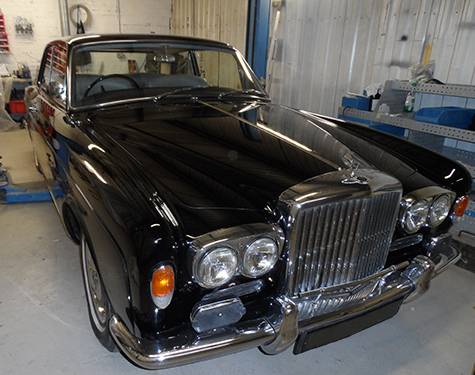 It was repainted in its original Masons Black with a contrasting single white coachline. 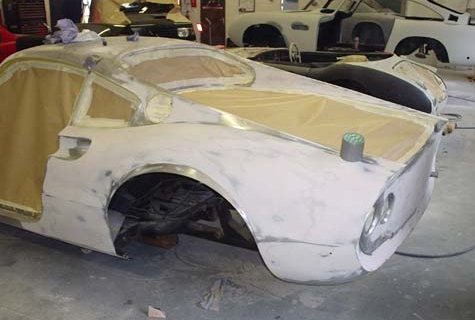 A complete strip out of the interior woodwork for re-veneering and fresh lacquer was carried out at the same time as the bodywork. 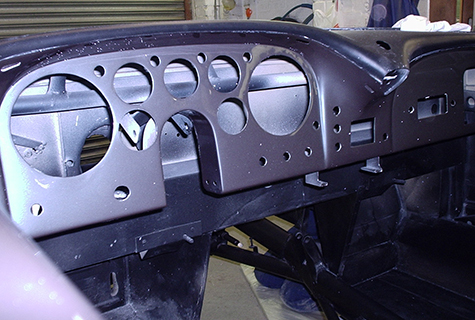 The interior colour had been previously changed to black, so the trim was stripped and returned to its original grey. 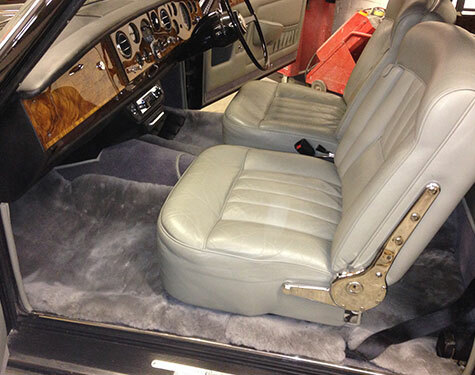 A new carpet set was also fitted in light grey Kensington wool with matching luxury sheepskin over rugs. 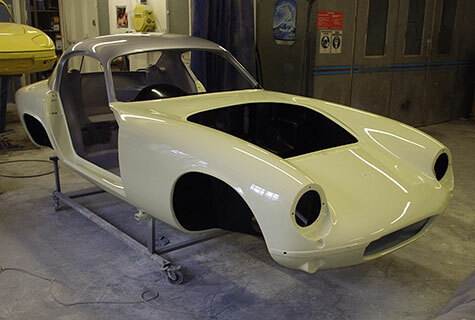 A super example of the little Lotus Elite produced between 1957 and 1963. 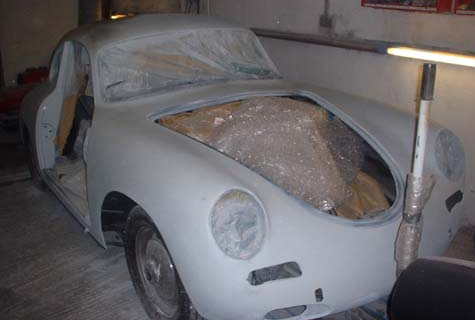 The glass fibre monocoque bodyshell produced a lighter, stiffer shell with better driver protection than other marques available at the time. 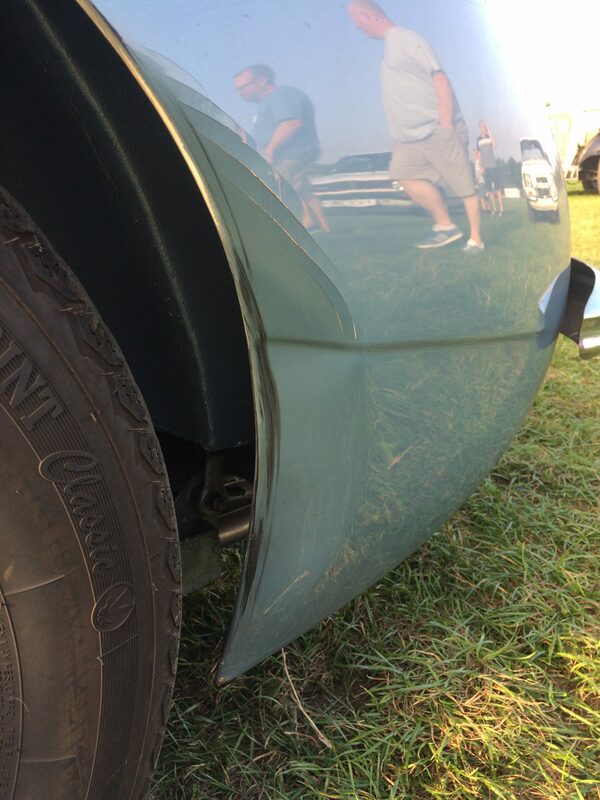 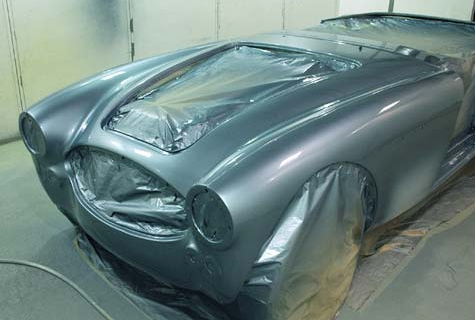 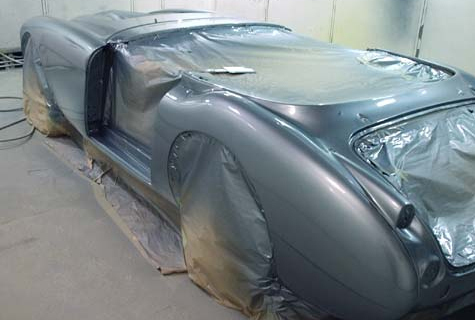 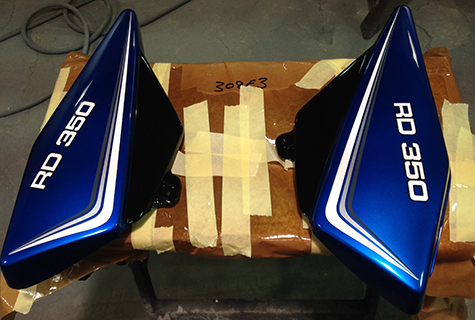 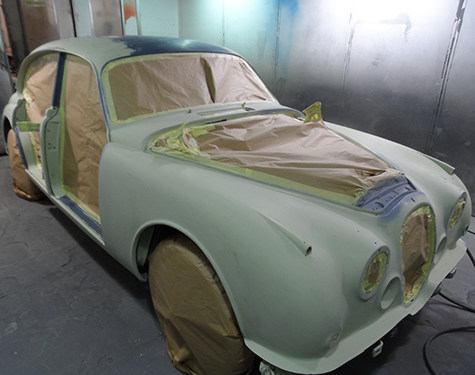 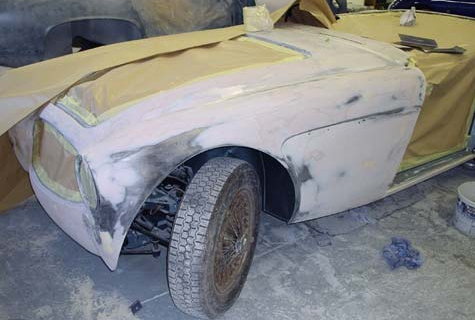 Great efforts were taken by the team at Proline on this body restoration to ensure accurate colour matches. 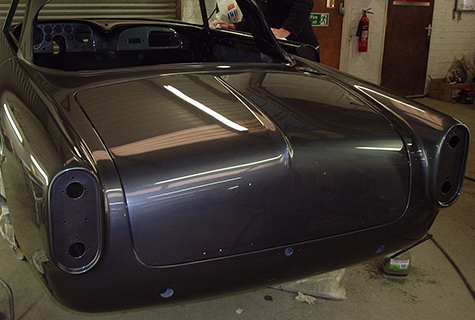 Also that the correct textures were used on the underside and interior finishes. 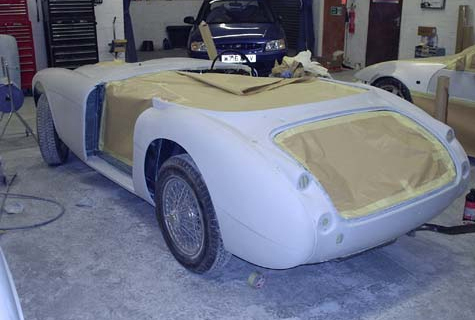 Finished in Primrose Yellow with a contrasting Lotus silver roof, a satin black engine bay and dash board, and a textured light grey interior and inner boot area completed the original look. 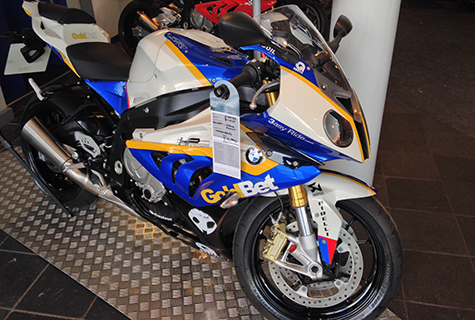 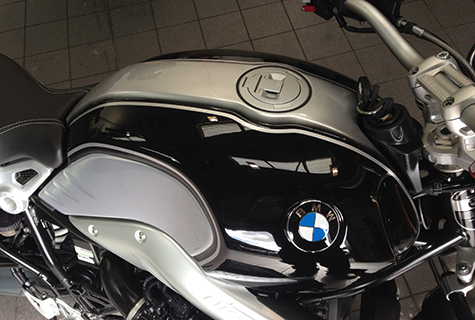 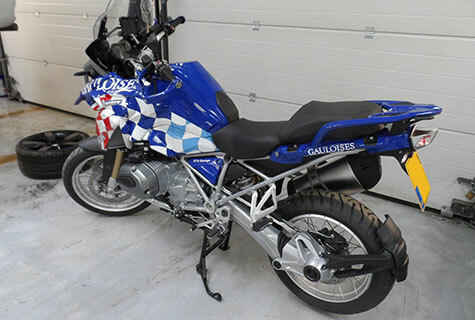 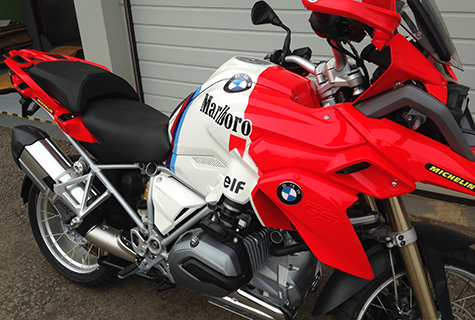 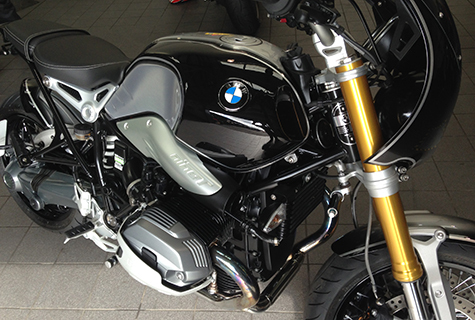 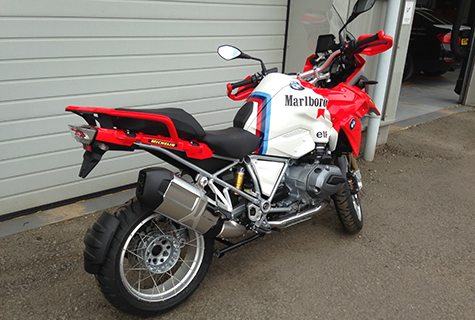 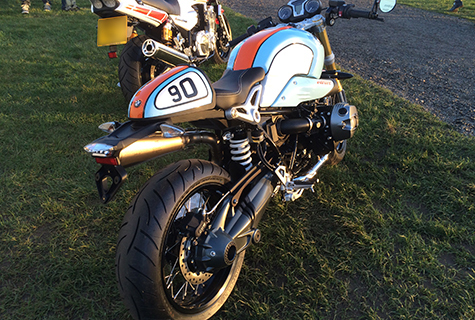 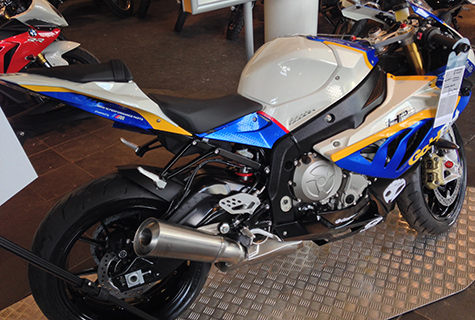 Looking for a classic style paint scheme to compliment and individualise this retro style R nineT. 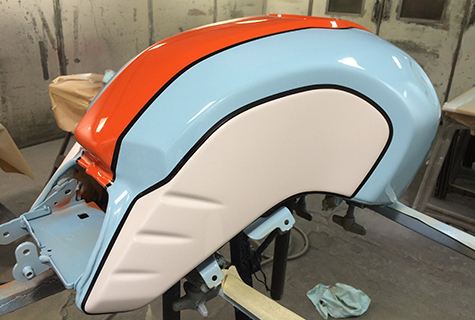 The Gulf racing paint scheme was born and worked very well gaining many admirers.